Next, there are Positional systems. 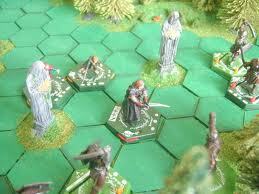 A positional system is one where your character's position on the game board is most important to winning a fight. 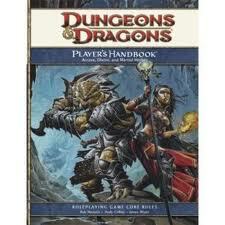 I would put 4th Edition D&D, Gurps, normal-powered Hero System games, Aftermath, and my own game, Runebearer in this space. Positional games tend to have lots of combat modifiers for things like having the high ground, facing, fighting near obstructions, or on rough ground. Build may be important, but can be overcome using terrain, by ganging up on an enemy, or taking advantage of situational modifiers. I think there are two main advantages to positional rpg combat systems. The first is that they play a lot like war games. Of course to many of you, that might not seem like much of an advantage. However, there are quite a few gamers that, though they like the tactical depth of old-school war games, or miniatures games, they aren't inclined to play them. Perhaps because of time, or dislike of the adversarial aspect of most war games, or because of the lack of a larger context, there are quite a few gamers I know who get their war game fix from rpgs. Personally, I love the fact that rpgs provide a continuity and context for battle that traditional games do not. I know that given the chance to play a one-shot game reenacting some distant historical conflict, or play an ongoing series of games where I have a vested interest in each and every battle, I choose the latter every time. As a good friend of mine once said, "I want a tactical war game in the middle of my rpg and a soap opera in the middle of my tactical war game." The second thing I like about positional games is that they tend to encourage group play and teamwork a little better than build-based games. Build-based games tend to focus on the maneuvers that a single character can pull off. 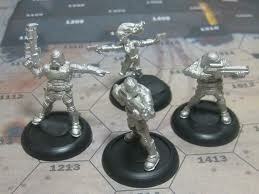 Positional games focus on your position relative to your allies and enemies and lots of situational modifiers. I like the idea of PCs working together -- fighters forming up to protect the weaker group members, characters rushing to the aid of their companions who have gotten separated from the ranks, holding the enemy at a choke point. Positional games also have flaws. A simple one is that they tend to be fairly rules-heavy and contain lots of situational modifiers. Another is that since the game is designed for two groups battling it out, one-on-one combats can tend to be a bit stale. And, like the build game and its "one trick pony" syndrome, positional games have their own style of monotony that can come from a couple sources. One is when the players find a set of tactics that works really well (either through the GM being unable to counter them, or due to quirky game mechanics) and they use those tactics in every combat. The other comes from the combat scenarios themselves. If every fight is between equal numbers of equal combatants on a flat empty plain, then all of those rules and modifiers go away, and you have a dry exercise in dice rolling. More wolves than you can put on a sweater!